If you’ve made the wise decision to invest in a hybrid — whether it be a Honda Insight IMA or a similar vehicle — you’re already 10 steps ahead of most drivers. Hybrid vehicles are an estimated 20-35% more fuel efficient than the a traditional gas-powered vehicle, which will help you save money over time, as well as protect the environment. Hybrid vehicles are truly the next generation of driving, but in order to get the most out of your hybrid, there’s a few things you need to know. Replacing a hybrid battery will be one of the most important things you do while owning your vehicle. If you want the best experience possible when replacing a hybrid battery, it’s always best to seek help from the professionals. Because hybrid battery packs do not typically outlast the car itself, most hybrid car owners will have to repair or replace their battery pack at some point. Generally speaking, this replacement will be needed in the range of six to ten years after the car’s original purchase. After four or five years of owning your vehicle, you need to start being more vigilant with your battery to avoid getting stuck on the side of the road. 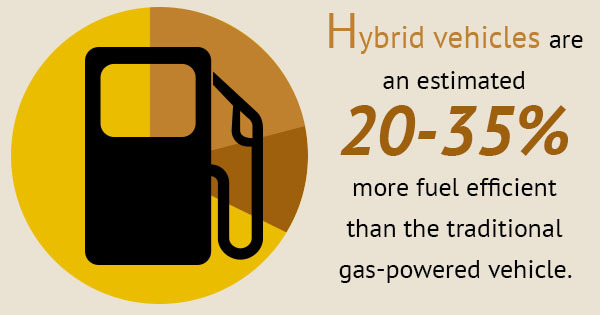 When driving a hybrid vehicle, the transition between fuel and battery use is seamless, making the car ride just as easy as a traditional fuel-powered vehicle. However, there are a few tips you can remember to take advantage of this technology and preserve your battery. For example, you should always ease on and off your brakes and try to keep a consistent speed on the roads. If you race around town and brake suddenly, your battery will fail much sooner. Perhaps the best advice for hybrid owners is to look for great deals online when replacing a hybrid battery. Hybrid cars capture the essence of advancing technology, so you should also be using technology when repairing your vehicle. These online retailers exceed OEM specifications at a low price, providing you with the best experience imaginable. Your hybrid is one of the most important investments to your name, and you should always be on the lookout for ways to enhance your hybrid driving experience. Find a trusted hybrid battery retailer online and keep your car running at full performance.